Are you counting down the minutes to Halloween at your house? 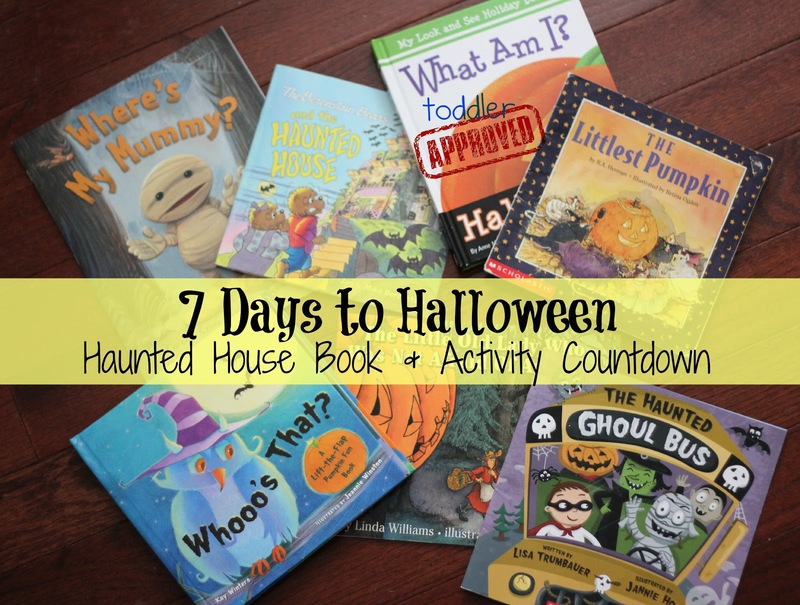 My 4 year old is asking me constantly when it will be Halloween... so in addition to using our calendar, we are starting a simple Haunted House Book & Activity Countdown today! We used this pattern from Sarah Jane Studios for our felt haunted house and then we cut out seven doors and windows. We like to play with our felt house... so we didn't glue the windows and doors on... but we did grab some stickers and we stuck a different one on each door or window. Then we stuck a matching sticker on each Halloween book (see above... the sticker on the book matches the one on the purple door). Once all the books and doors/windows had stickers on them... we hid the books ALL OVER the house! Each day for the next 7 days we will turn over a door or a window, check out the sticker, ... and then we'll go hunt around the house until we find the matching stickered book! Once we find the book... we'll read it and choose a book related craft or activity to do! Then we'll take that door/window off the house so that we don't choose it again. 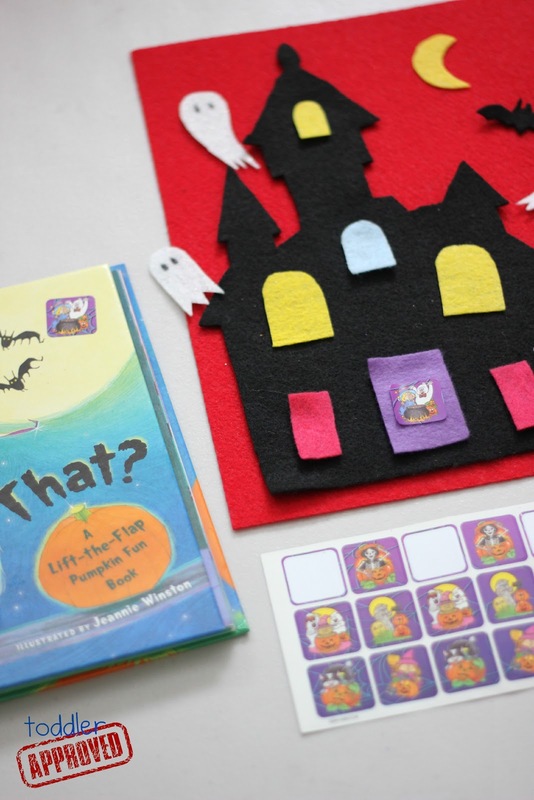 I'll be sharing the different book related craft and activities we do each day over on our Toddler Approved Facebook page and I will also be pinning the activities to our Halloween Pinterest board. Some will be new activities and some will be activities we discover on many of the fabulous kid craft blogs that we read. What Halloween books do you love at your house? Do you have any way that you are counting down to Halloween? 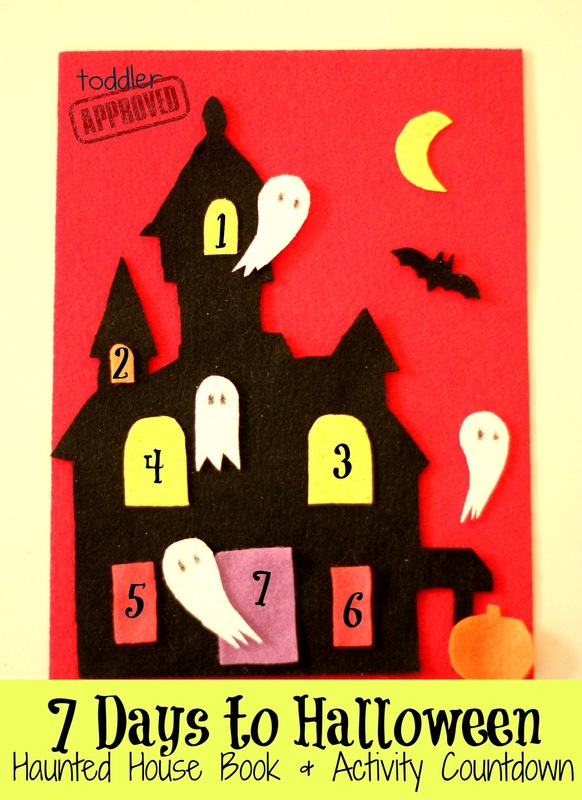 If you're interested in joining us in this fun countdown... then grab your books, make your own simple way to keep track of the days (you don't have to make a haunted house), and hide your books!! Then come share the books and book related crafts and activities that you do over the next 7 days here or on our Facebook page. Happy reading!! Only 7 days till Halloween (including today and Halloween of course!)!! How fun! My son would love the felt haunted house. Such a fun way to count down to Halloween!!! My son is actually trying to count down the days to Halloween so he would love this! He's so excited to trick or treat this year!